In order to become safe, responsible drivers, a full drivers education course is required. 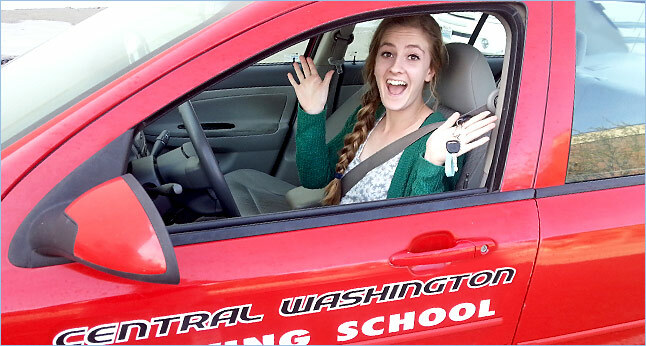 At Central WA Driving School, we provide you with all the necessary tools to become a good driver. We have State DOL Testing available at our Moses Lake & Ellensburg locations! Knowledge tests are available anytime during our regular business hours on a walk in basis and Drive Tests are by appointment. Moses Lake Office Hours: Tuesday - Friday 11 am - 5 pm. Saturday 9 am - 2 pm. Ellensburg Office Hours: Monday - Friday 12 - 5 pm. We also offer a Review Drive & Road Test package. This 30 minute warm up drive will help refresh your skills before your Road Test! Call today to book your Drive Test! Learn more about our driving school services. We do the knowledge exams for both the motorcycle and the 3 wheel/trike endorsement at the Ellensburg & Moses Lake locations. You can take your test during regular business hours. We do not do the skills portion. Contact FACT Motorcycle Training in Yakima at 509-248-2373.